This post can also be found on the Botanical page above. 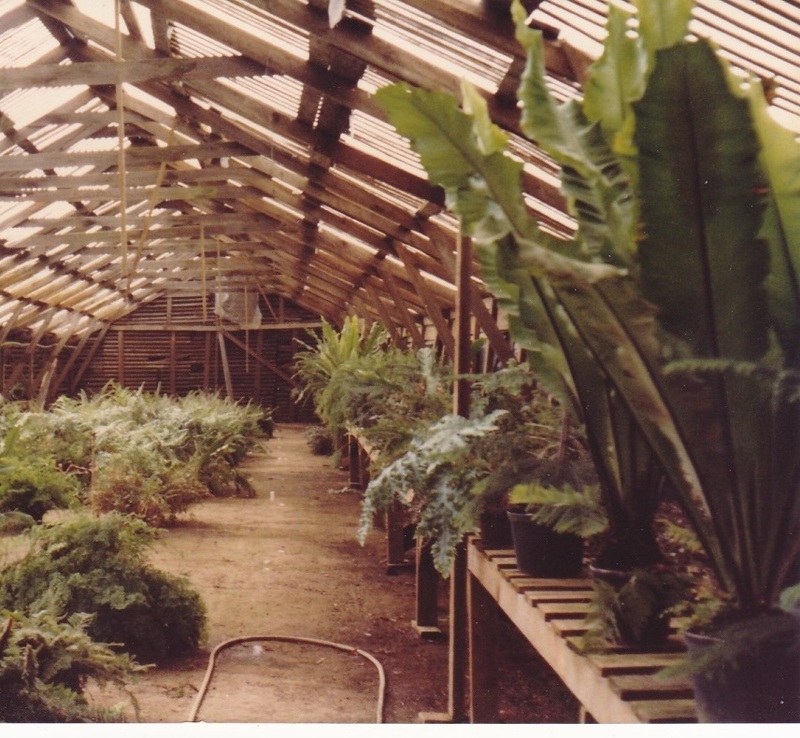 Years ago, I grew ferns for a large and once famous plant nursery in Capitola, California. They were famous for their begonias and fuchsias, and I managed an acre of ferns out back. I had 'Birds Nest' ferns like the one shown above, that had fronds taller than me! Each new frond can be bigger than the previous one if a source of humidity is nearby. Here is an old photo of the stock ferns I harvested fern spore from to grow new baby ferns. Awesome blog! I love House Plant Shop!